There’s nothing better for a bowl game than having a “home team.” And the Orange Bowl pulled that off this year, as the No. 11 Miami Hurricanes host the No. 6 Wisconsin Badgers on Dec. 30. The matchup will be the final bowl game to kick off in 2017. Referred to now as Hard Rock Stadium, the former Joe Robbie Stadium is home to the Hurricanes and the Orange Bowl. Miami was unbeaten entering its last two games of the season before losing to Pittsburgh and defending national champion Clemson. 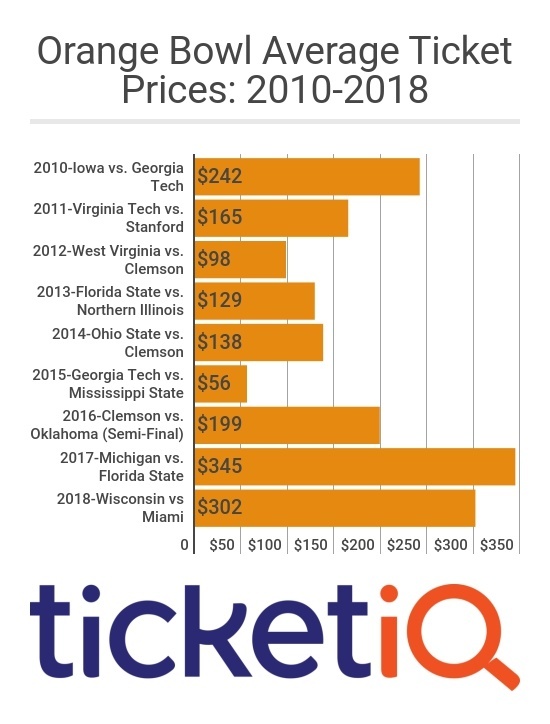 The current TicketIQ.com asking price for this year’s Orange Bowl -- $302 – is second only to last year’s matchup between local favorite Florida State and Michigan. Tickets for that game settled at an average of $345. Prices for both games are far above the average for all Orange Bowls tracked by TicketIq.com since 2010. Tickets for the previous seven Orange Bowl games settled at $242 or less. For Miami, the current asking price blows away that of any of its five previous bowl games since 2010. The next closest ticket price was $104 for both the 2013 and 2016 Russell Athletic Bowls. The Badgers lost to Ohio State in the final game of the season to dash their College Football Playoff hopes, otherwise, it may well have been Wisconsin – not Alabama – facing Clemson in the Sugar Bowl on New Year’s Day. Wisconsin was undefeated entering the game OSU game and there was plenty of talk about how an unbeaten Badgers team could still be shut out by the CFP. The game will be Wisconsin’s first in history at the Orange Bowl. 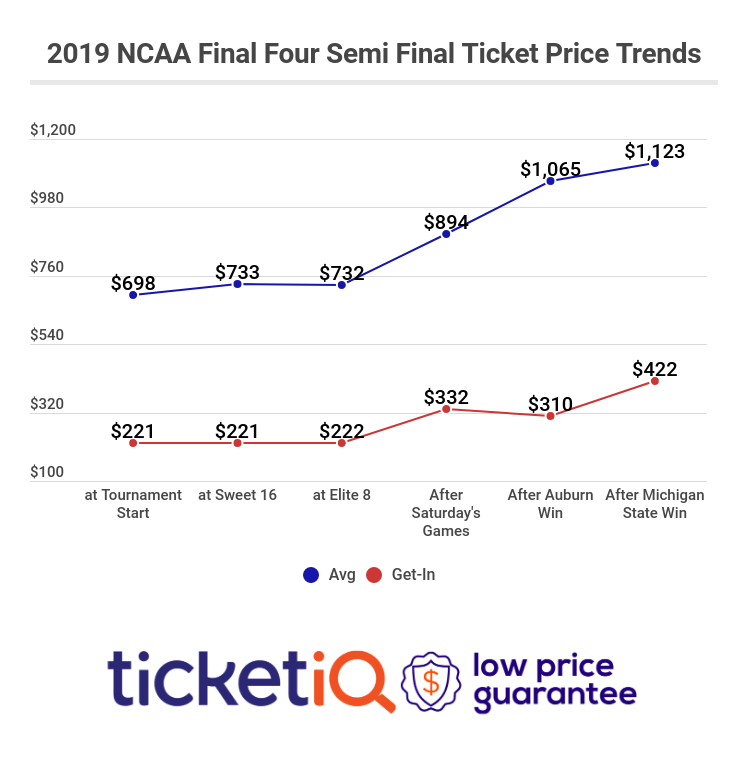 But the ticket likely won’t be the most expensive in Wisconsin’s recent bowl history – tickets for the 2011 Rose Bowl vs. TCU fetched $398, making this year’s current asking price the second-highest in eight years. Whether you’re a Miami native or a Badger looking for a break from winter, TicketIq.com can help you get affordable tickets. With tickets currently ranging in price on the secondary market from $155-$24,749, check out seats in TicketIq.com’s Low-Price Guarantee listings, which include end-zone tickets in Section 103, Row 28 for $240 or in the upper deck above the sideline in Section 342, Row 23 for $237.